Given the proximity of Waitangi Day (6th of February) and the recent death of a radio and television broad caster, Paul Holmes (1st of February 2013), who last year wrote an opinion peice on the protests that typically accompany Waitangi Day, I was discussing this with a colleague at work and she brought up Parihaka as an example of the validity of the claims associated with those protests. The archaeological sites in North Taranaki from 1860 to 1881 detail a long conflict between the New Zealand Government/ Colonial Government and Indigenous Maori Tribes (Prickett 1999 : 85). The significance of Historical Archaeology in New Zealand is that not only does it pose as a means to understand other ways of life, but also to examine the realities of historical processes. In New Zealand up until the middle of the 1970s Pakeha New Zealanders considered New Zealand as having a relatively unique harmonious bicultural heritage (Morris 2003). This perception of harmony was challenged by protests against land acquisition by the government and to investigate the validity of these claims, the Waitangi Tribunal was created in 1975 and from 1985 was a permanent commission of inquiry and this has lead or been part of a process of reexamining New Zealand history. During the 1990s visible government discourse contained statements about the idea of biculturalism and now (2013) there is a sense that New Zealand is no longer bicultural but is best described as multicultural. Even so the Treaty of Waitangi stands as a founding document for the New Zealand nation and accords the representatives of around 540 Maori Tribes the " just rights and property of Maori and to secure to them the enjoyment of Peace and Good order" (Morris 2003) while acceding governorship (Kawanatanga) to the British Colonial Government. This treaty, which was an agreement between the British Colonists and Indigenous Maori, was by 1877 declared by Chief Justice Prendergast in Supreme Court to be "a simple nullity" and Maori ownership of land was compromised through a number of processes, including confiscation of land from tribes in rebellion on the grounds of punitive measures and paying for the expense of military operations, as occurred from 1860 onwards during the Maori Land Wars (1860 to 1881). These rebellions were in part to resist land sales which were done according to Pakeha legal and cultural norms. One of the topics of investigation of the Waitangi Tribunal were the events of Parihaka on the 5th of November 1881, which was covered in the Taranaki Report. This report was notorious for drawing implicit comparisons between events in Taranaki and the activities of the Nazis during the Second World War, but the events were quite bad enough not to require the comparison (Morris 2003). Essentially factions in the Colonial New Zealand Government, pressured by Native Minister John Bryce, in a response to demand for land by settlers, engaged in military operations against passively resisting Maori residing in the Maori settlement of Parihaka. Parihaka was a large successful Maori pa & town that was settled by Chief Eruera Te Whiti o Rongomai in 1867 at the close of the Second Taranaki War as a means to avoid association with either side and the potential violence, to maintain control of Maori Land and create a settlement based on religious principles and understood political realities. He was later joined by Tohu Kakhi and a close kinsman, Te Whetu. Thus the settlement incorporated multiple tribes and by the 1870's became a prosperous and productive town/ pa/ settlement with regular roads and occupational specialization. Chief Eruera Te Whiti is described as a prophet drawing inspiration from the Christian faith to council his followers to resist the colonial soldiers using non violent protest. Chief Eruera Te Whiti is an interesting historical figure who can be argued to have provided a transitional belief system from Pai Marire to Orthodox Christianity (Gadd 1966 : 456). From a synchronic perspective it can be argued that Te Whiti over time synthesized a belief system incorporating the powerful engrammic motifs of indigenous Maori and Christian traditions that provided meaning and direction (hope) to the communities connected to Parihaka. In retrospect, that he is also seen as an "a Prophet" or religious leader may be in part due to the Colonial Government's need to represent him as a "deluded prophet, a madman or menace to the colony" (Riseborough 2010 : 235), thus being able to justify their repressive legislation as being in the Maori's best interests (Riseborough 2010 : 235). 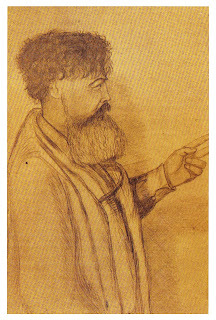 The sources that seek to represent Te Whiti's thought have been criticized by Hazel Riseborough in "Days of Darkness : The Government and Parihaka, Taranaki 1878- 1884" as most interpreters working for the government and settler press subjected their interpretations to their own preconceptions and it was typical for the government to only accept interpreter reports when it fitted their own agendas. Bernard Gadd in 1966 can be judged a sympathetic writer whose information sources included the sayings of Te Whti & Tohu as reported in the New Zealand Herald and Lyttelton Times of 1880 and 1881 as well as four references from Te Whiti's conversations with Cowan and Baucke and Te Whiti's testimony in court (Risenborough 1989 : 22). Risenborough criticised Gadd's lack of more direct sources, indicating that Gadd's evidence to characterise Te Whiti as a prophet and religious leader is insufficient (Risenborough 1989 : 22), what would be interesting is to compare the direct sources information to statements by Colonial leaders to see if there are a comparable statements formulated in a religious paradigm. What can be stated are the influences of Te Whiti’s thought included the traditional Maori lore of his community, he was born in 1831 the son of Honi Kaakahi, a Ngatiawa chief, and Rangikawa, the daughter of a Taranaki chief and Christianity learned at the German Lutheran mission station of Riemenschneider at Warea, where he was baptised Eruera (Edward) and retained a life long Christian belief. On the 17th of March 1860 the Maori-Pakeha War began. For Te Whiti and Tohu, both at the Reimenschneider mission school, the out break of war meant the closing of the Riemenschneider mission and the bombardment of the Warea pa from the sea (Rizeborough 2010 : 232). The campaign of Colonel Golds force was to damage the Maori economy of the area, on the 27th of April 1860 this force reached Warea, sacking the pa, destroying agriculture, food supplies and a flour mill and thus Te Whiti and Tohu were amongst the people going inland to escape the fighting. During this the experience of bloodshed, suffering, Pakeha greed for land, duplicity, land confiscations and the acquiescence of European missionaries to these processes would have left an impression on Te Whiti and in the resulting search for a credible belief system that provided meaning and relevance to his experience, he became involved in the indigenous Maori religion of Pai Marire. Te Whiti fought at the battle of Sentry Hill on April 30, 1864 with warriors influenced by the Pai Marire religion. The Pai Marire religion incorporated concepts found in Chrisitanity, using the symbol of god (Atu), the niu pole and the religious movement held that the key to Atu’s plan was found in the Bible. Although providing a focus for tribes to unite, the movement was eventually defeated in military terms by January 1865. Around 1866 Te Whiti settled at Parihaka and in 1868 Te Whiti had prevented his people from participating in a rebellion led by the Ngati Ruanui leader, Titokowaru (Gadd 1966 : 447). Bernard Gadd (1996) describes Te Whiti’s concept of God was as something like a mighty impersonal force moving in and working itself out in history, whose will could be discerned and obeyed (Gadd 1966 : 447) . This concept was different from the intimate, personal relationship with God preached by most nineteenth century missionaries, who made no serious attempt to understand Te Whiti’s approach (Gadd 1966 : 447). To his Maori followers Te Whiti stressed the importance of suffering, as a expiation of sins but also as obedience to God's will, a kind of stoicism born of the belief that featured the renounciation of "desires" and acceptance that obedience to the will of god, that is in the end " to the benefit of the Maori people" (Gadd 1966 : 450). It is important to realise that Bernard Gadd is writing during the height of the geopolitical tensions described as the Cold War which had ideologies using political economic thought on both sides, and this description potentially has synthetic elements from popular 20th century political economic thought and Christianity. Bernard Gadd's evidence for this statement is the November 1907 New Zealand Herald (Gadd 1966 : 454). Also consider the common settler approach of the time, that the Maori were a "breed dying out" and that "civilization provided their salvation" (Risenborough 1998 : 227). Although Origin of the Species was published in 1859, racial theories of selection were common, William Paley, who opposed the slave trade, published Natural Theology in 1809, it held that adaptation was a sign of "Gods" design. In the New Zealand Herald of November 1865, there is a letter submitted by J Giles discussing "Modern Scientific Theists" and the "unmistakable marks of supreme design" (Giles 1865). Thus in colonial New Zealand, ideas of social evolution, incorporating Christian religious thought, were there and thus he could have synthesized the ideas himself or been exposed to them through European advisors or contacts. Dreaming is often seen as having a prophetic function. Dreams are seen as a source of revelation in the Bible, in Genesis 41 the interpretation by Moses of Pharaoh's dream of years of fertility and famine , in Matthew 2:12, the Magi avoid returning to Herod because of a dream, and in Acts 2:17 "Your sons and daughters will prophesy, your young men will see visions, your old men will dream dreams", as a few examples. Thus there is an element of the function of religious prophet in a story associated with Dame Whina Cooper, who led coalition Maori groups during 1975 on a ceremonial hikoi, now described as the Maori Land March. The story has Dame Whina Cooper having a dream that "She was walking along a road towards her relatives when she met God in the form of a man whose eyes flashed and flickered so that she could hardly look at him" (Bowater 2012 : 48). In this dream God tells her "Your work is not completed" and in the following year in 1975 Dame Whina lead the Maori Land March on the New Zealand Parliament, which was part of a process that ignited a renaissance of Maori culture that includes the Waitangi Tribunal (Bowater 2012 : 48). Websites that reflect the range of approaches discussing Parihaka. John Ansells "Treatygate", against movie Parihaka. In greater context appears to be against the Waitangi Tribunal. John Ansell comments on "Parihaka Day plea gains momentum"
Bowater, Margaret. (2012). Dreams and Politics: How Dreams May Influence Political Decisions. In the Journal of Psychotherapy and Politics International, Volume 10, Issue 1. Pages 45 -54. Morris Ewan. (2003). History Never Repeats? The Waitangi Tribunal and New Zealand History. In History Compass, Volume 1, Issue1. Prickett, Nigel. (1999) Archaeological site recording in New Zealand. Page 85. Available at http://nzarchaeology.org/elecpublications/ArchaeologicalSiteRecording_Part1.pdf. Last viewed 08/02/2013. Riseborough, Hazel. (1989). Days of Darkness. The Government and Parihaka. Taranaki 1878 -1884. (Revised Edition). Published by Penguin Books Ltd. Printed in Australia by McPherson's Printing Group. Pages 22 & 227. Riseborough, Hazel. (2010). A New Kind of Resistance: Parihaka and the Struggle for Peace. (Edited by Kelvin Day). In Contested Ground Te Whenua I Tohea : The Taranaki Wars 1860 -1881. Published by Huia Publishers. Printed in Thailand by Sirivatana Interprint Public Co Ltd. Pages 231 -254.